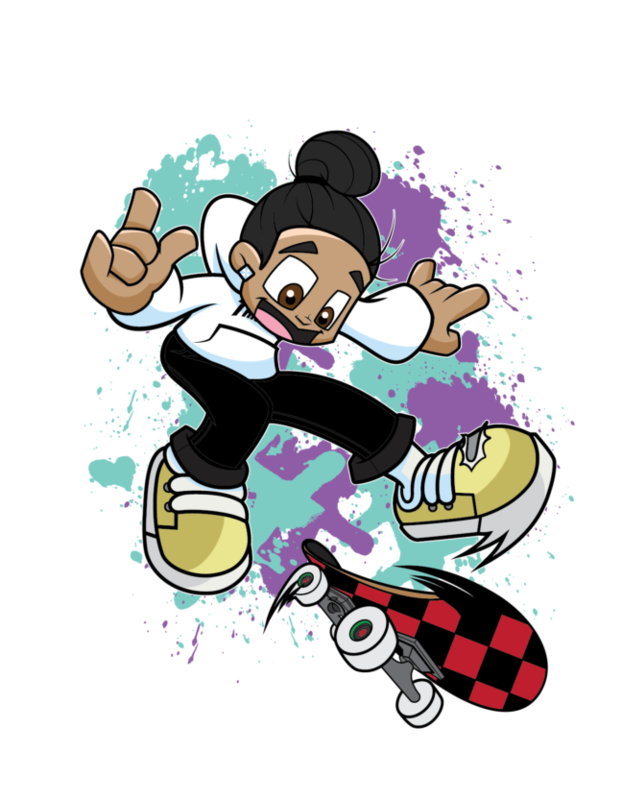 Rob Dyrdek’s Wild Grinders also simply known as Wild Grinders was an animated series featured on Nickelodeons sister channel Nicktoons. The series was loosely based off of the life of pro skater Rob Dyrdek. Kale is inspired by one of my good friends that dreams of being a pro skateboarder one day. 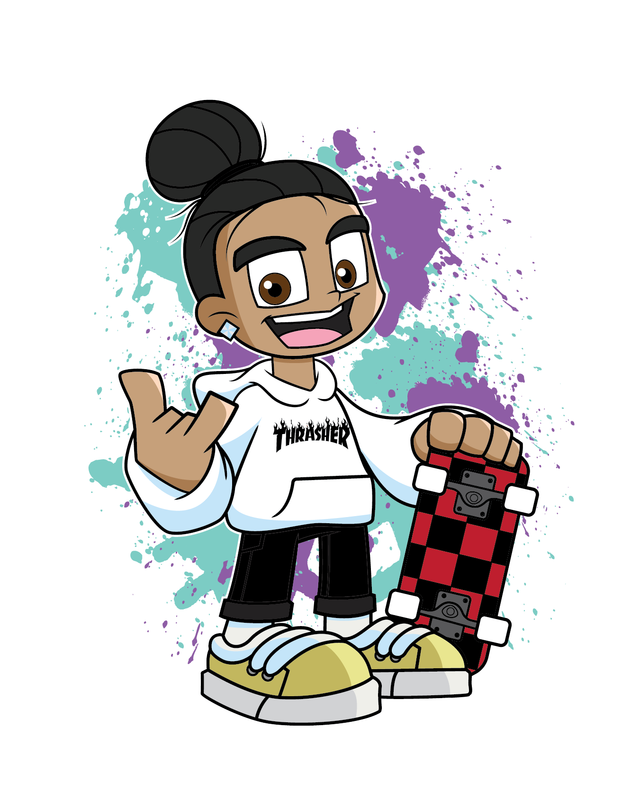 I designed this character to help promote his brand as a skater. The final picture was completed using Adobe Illustrator.